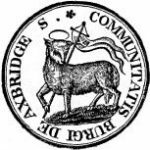 The Axbridge Archaeological and Local History Society (AALHS) invites you to come and find out lots of things you didn’t know about Axbridge. 2pm Saturday , Dr Jerry Sampson, a leading authority on church buildings, will give a talk and exploration of the church. 2pm Sunday, Madeleine Roberts, a member of AALHS, will lead a walk around the ‘Port’ of Axbridge. There is a charge of £3 for each of the events.